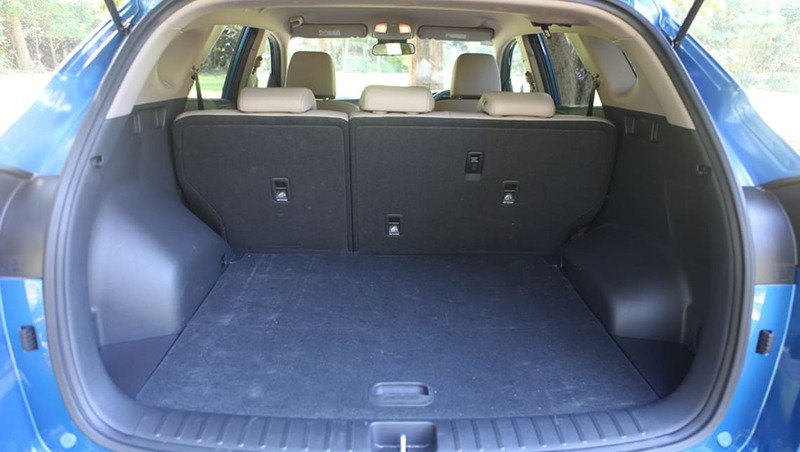 The Hyundai Tucson Elite 2WD is well built for purpose if your purpose is mostly city and suburban life. 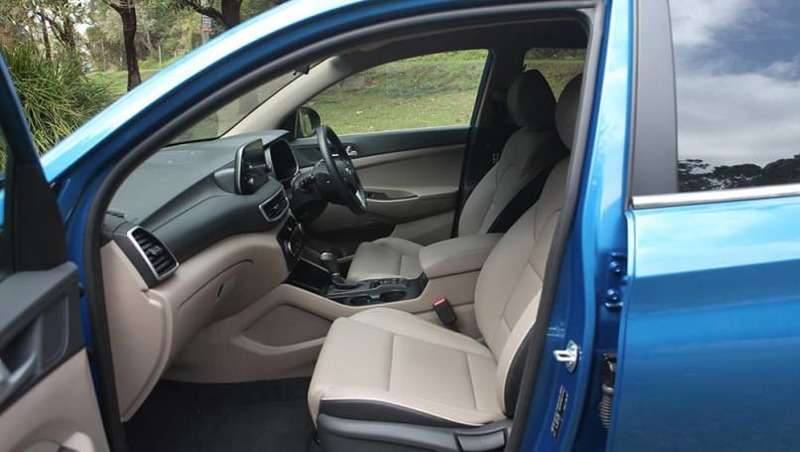 This Tucson does benefit immensely, however, from its cool blue exterior and scalloped sides. The term SUV (sports utility vehicle) is a vague catch-all bunch of words. It has US origins and we Aussies now use it to describe any car marketed as an adventure-type go-anywhere vehicle. The problem is not all vehicles advertised as SUVs are capable of going much further than the wet-grass parking area besides a country footy field, or driving along a slightly bumpy but well-maintained, smooth dirt road in a National Park. If you understand your vehicle's limitations in terms of its ability to head off the blacktop, then all is well in the world, but it's also equally important to not underestimate your vehicle simply because it may be something more city-focussed, such as a 2WD SUV. You're likely able to go deeper into the bush, or further along surfaces that aren't bitumen roads, than you initially assume. 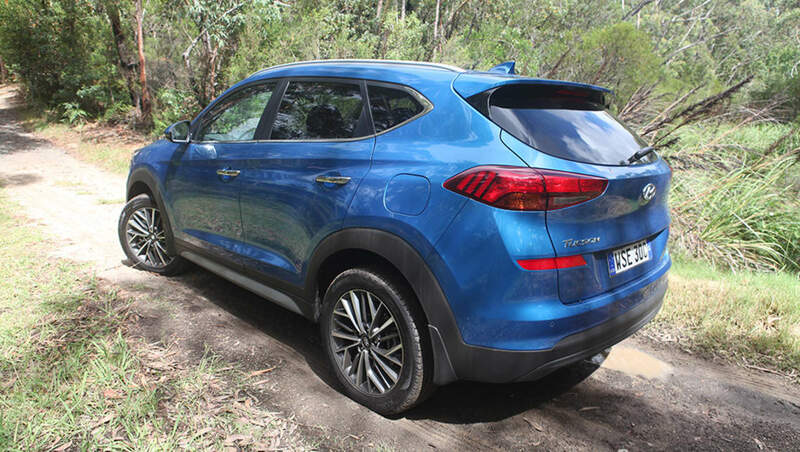 Hyundai's Tucson has a rock-solid rep as an around-town family-friendly SUV – and that's borne out in sales figures – but how does it go when push comes to shove out in the bush? We took a 2WD Elite on an off-road test to find out. Our five-seater 2.0-litre petrol tester has a $37,850 price tag (Manufacturer's Suggested Retail Price). The Elite range is automatic transmission only, and there are 1.6-litre turbo-petrol (with seven-speed dual-clutch auto and AWD) variants available ($40,850), as well as diesel-auto-AWD variants available (from $43,150). The Tucson Elite, the second-top spec, as standard comes packed with a lot of gear: we're talking a floating tablet-style 8.0-inch multimedia system (with Apple CarPlay and Android Auto connectivity), leather interior trim, Infinity Premium Audio, 18-inch alloy wheels, powered driver's seat, rain-sensing wipers, rear park assist, and a tyre pressure monitoring system. Safety tech includes Forward Collision-Avoidance Assist, Blind-Spot Collision Warning and Rear Cross-Traffic Collision Warning. The Elite doesn't have a heated steering wheel or wireless (Qi) smartphone charging that the top-spec Highlander variants get. It looks only a step or two removed from what has become a distinctively generic SUV kind of appearance. It's a smart-looking unit but – sorry, Tucson designers! – it looks only a step or two removed from what has become a distinctively generic SUV kind of appearance. 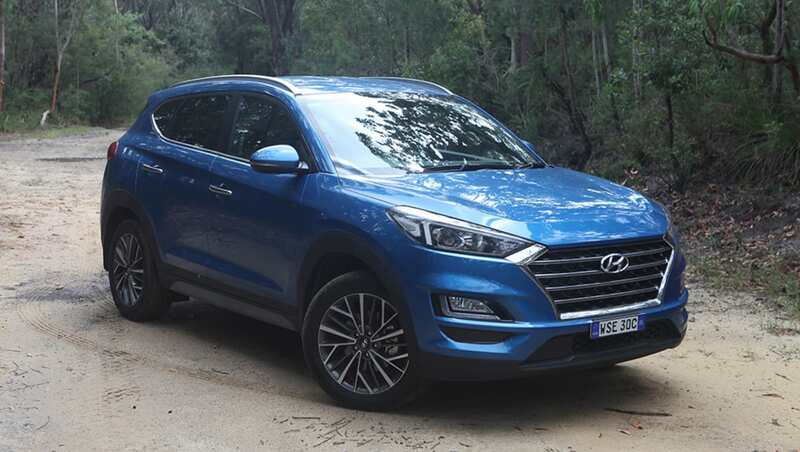 This Tucson does benefit immensely, however, from its cool blue exterior, scalloped sides and intriguingly patterned alloy wheels. 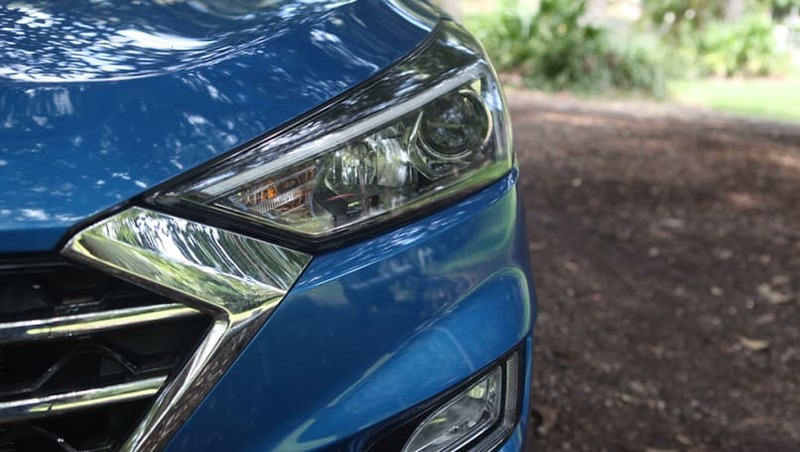 Hyundai touts the Tucson's "cascading grille" and "flowing surfaces" and "sharp lines", but really there's no need to – nowadays unless a vehicle is truly grotesque, then it'll find favour with more than a few new-car buyers. The Tucson is far from grotesque. The intriguingly patterned alloy wheels add to its charm. The 2WD Elite has a 2.0-litre four-cylinder petrol engine – 122kW at 6200rpm and 205Nm at 4000rpm – and a six-speed automatic transmission, incorporating three different driving modes: Comfort, Eco and Sport. The 2WD Elite has a 2.0-litre four-cylinder petrol engine is capable of 122kW at 6200rpm and 205Nm at 4000rpm. 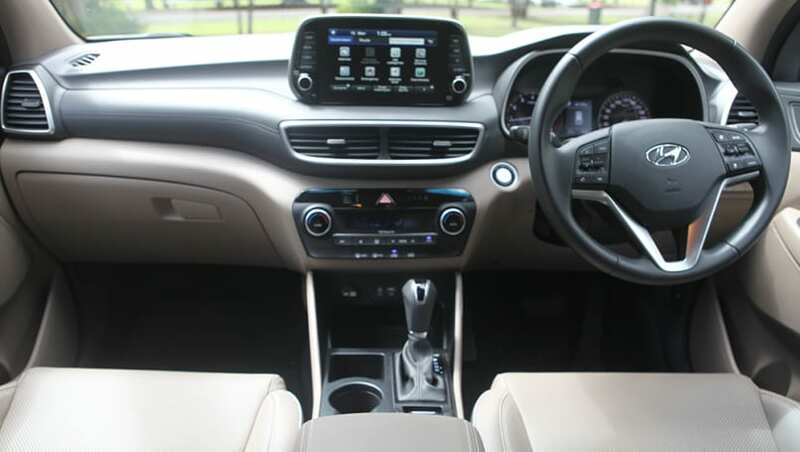 The interior has a real premium look and feel about it, with plenty of leather, stitching and soft-touch surfaces around. Sections of hard plastic here and there threaten to spoil the plush atmosphere, but they're not terrible and are well suited to copping dirt and scuffs during your outdoors adventure lifestyle if that's what you're planning for this Tucson. Driver and passengers aren't left wanting for room inside either, as there's plenty of wriggle room for head, shoulders and legs as long as no one's an Aussie Rules or basketball player. 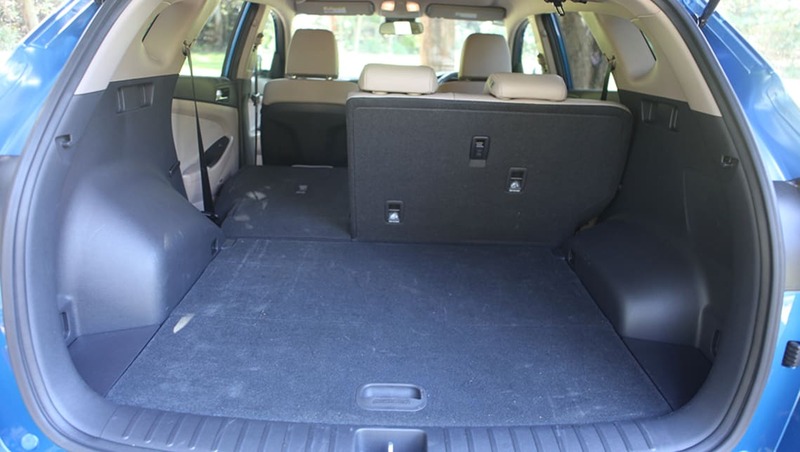 In practical terms, the cabin is a well-designed and -appointed space with stacks of storage options. The tablet-style touchscreen is a nice functional feature as it's clear and bright and easy to operate, even when bumping around the countryside. In practical terms, the cabin is a well-designed and -appointed space with stacks of storage options: glovebox, receptacle for life's stuff and two cupholders (in between driver and front passenger), two cupholders (in a drop-down centre arm-rest in the second row), and bottle holders in all doors. There are USB points up front and in the back row. The Tucson has tough plastic-backed front seats which means your second-row kids – and their tendency to kick and scrape the backs of the seats in front of them with their grotty boots – won't ruin your bush adventures with their filthy habits. The cheeky little buggers also get two ISOFIX child-seat mounts, three top-tether points and air vents as well. The Tucson has tough plastic-backed front seats which means your second-row kids won’t ruin your bush adventures with their filthy habits. 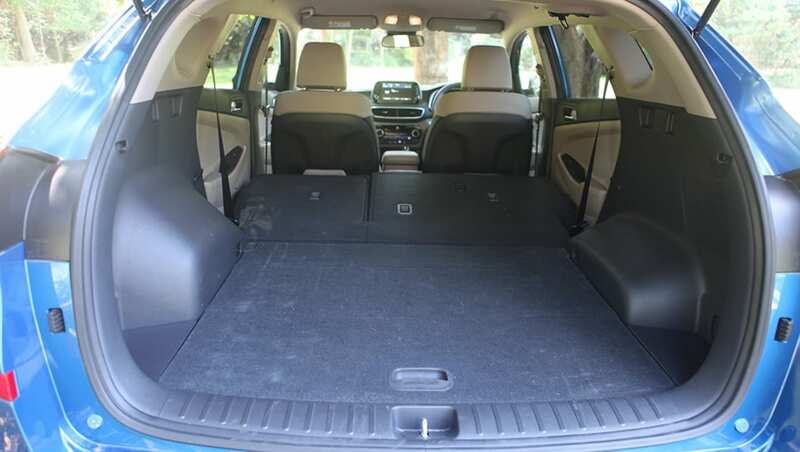 Boot space is listed as 488 litres and easily coped with our day-trip-style load of two camp chairs, picnic blanket, day pack and assorted bits and pieces. The second row folds flat to open up a claimed 1478 litres of space, but we never had to bother. Boot space is listed as 488 litres. It easily coped with our day-trip-style load of two camp chairs, picnic blanket, day pack and assorted bits and pieces. The second row folds flat to open up a claimed 1478 litres of space. Driving this Tucson is mostly an okay, albeit rather sedate, affair. 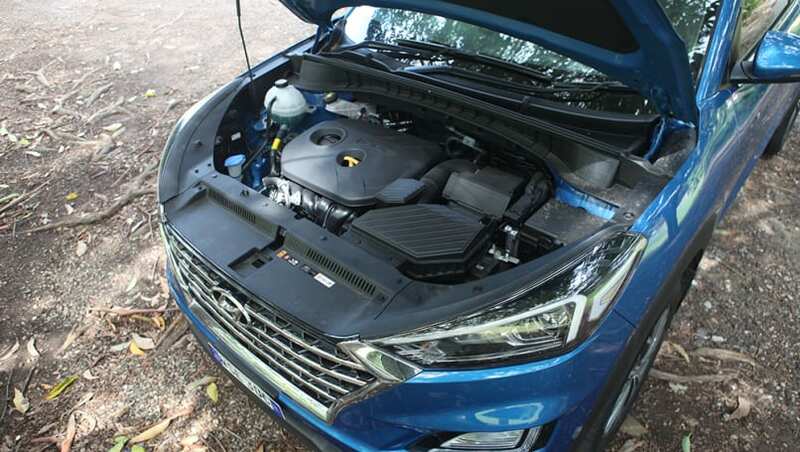 Sure, it looks good and copes with a family and their day-to-day school-and-sport demands, but the Tucson, with this 2.0-litre petrol engine, feels underpowered and is never in any great hurry to go anywhere. There's no real urge to the engine, even under enthusiastic prompting, it's generally sluggish to respond and even the pedals feel spongy. Worse still, when you do give it a bit of right boot, it's on the wrong side of noisy. The auto tends to scramble for the correct gear ratio, especially on long gradual hills. The tablet-style touchscreen is a nice functional feature as it’s clear and bright and easy to operate, even when bumping around the countryside. 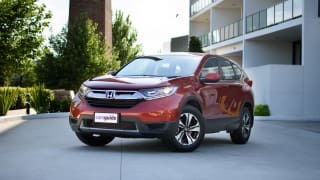 It's awkwardly slow in Comfort or Eco driving mode – no surprise there, I know – but it does all tighten up and become much more of an involved drive when you select Sport. The Tucson becomes a more dynamic unit with greater throttle response, pedal feel and all-round responsiveness. It is, however, preferable to cycle through the transmission in manual-shift mode for better drivability. It tends to bump and skip a little over irregular bitumen – road-going, low-profile tyres don't help – but its suspension – Macpherson strut at the front, multi-link at the back – has been supposedly tuned for Aussie conditions and it does seem to cope better than expected with harsher, chopped-up sections. As a tourer, the 2WD Tucson Elite is well-suited to very light-duty off-roading – and by that I mean low-speed driving on well-maintained, preferably dry, gravel tracks or the like. On test, I took it to the outer limits of what you'd expect to be able to tackle in a 2WD SUV – deep ruts, undulating tracks, mud puddles, sand in coastal bushland – just to assess that it can actually do those things if ever required to, but I wouldn't recommend anyone drives a 2WD SUV in that sort of terrain unless they absolutely have to, because damage and/or getting stuck are distinct possibilities. 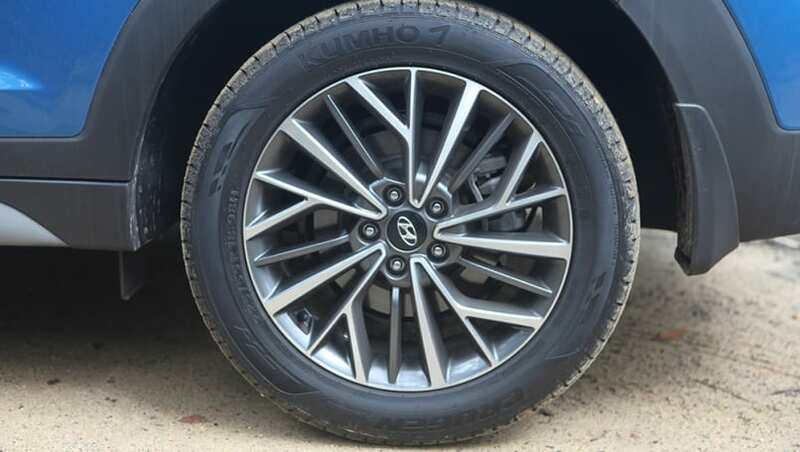 It helps that the driver is able to easily assess where the Tucson's wheels are on the track because accurate wheel placement for a 2WD SUV is even more crucial than it is in others; you need to give those driving wheels optimum traction at all times. The 2WD Tucson Elite is well-suited to very light-duty off-roading – low-speed driving on well-maintained, preferably dry, gravel tracks or the like. 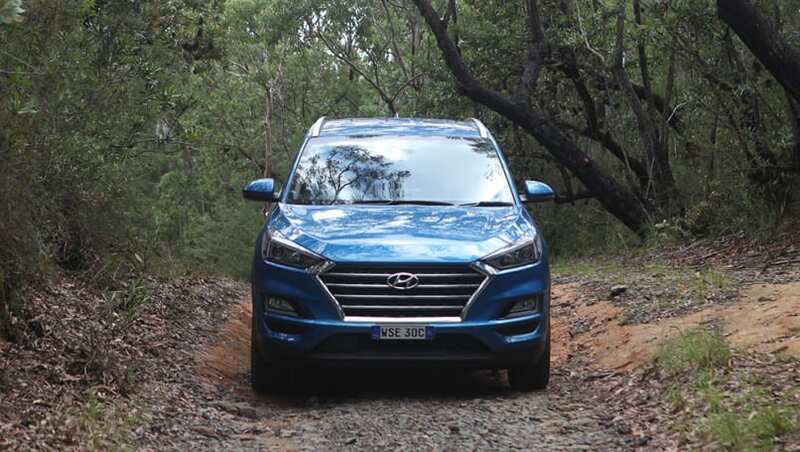 Ground clearance is 172mm – about standard for a city-focused SUV - but it feels even a little bit higher than that while guiding it along pothole-peppered bush tracks and trying to avoid fallen branches of different thicknesses without having to stop and constantly clear the track. Turning circle is 11m so the Tucson is an easy steerer on city and suburban streets as well as along squeezy bush tracks. The Tucson's unbraked towing capacity is 750kg and braked towing capacity is 1600kg, with a towball download limit of 120kg, so no one is seriously considering a Tucson as a tow vehicle if duties include hauling big caravans, trailer boats or horse-floats. There are plenty of genuine accessories available, including nudge bars, roof racks and rubber cargo liners. Fuel consumption for the 2.0-litre auto FWD is listed as 7.9L/100km. Our on-test figure was 12.8L/100km after lots of low-speed driving and highway hill climbs. It has a 62-litre fuel tank. The Tucson Elite has had a five-star ANCAP safety rating since late 2015. It has six airbags (dual front, front side, full-length curtain), two ISOFIX child-seat mounts and three top-tether points. Safety tech includes auto emergency braking (AEB), forward collision warning with pedestrian detection, blind spot monitor, driver attention warning, lane departure warning with active lane keep assist, rear cross-traffic alert, adaptive cruise control, rear camera and parking sensors. It has a five-year/unlimited kilometre warranty, and life-time capped price servicing – that's 14 years for the 2.0-litre petrol engine. Servicing is scheduled for every 12 months/15,000km at an average cost of $301 per visit with a total cost, over five years, of $1505. 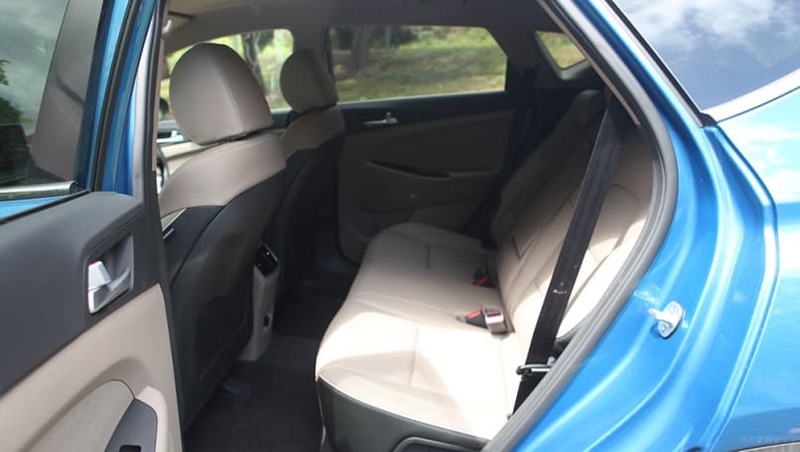 The Hyundai Tucson Elite 2WD is well built for purpose if your purpose is mostly city and suburban life with occasional forays into, at the most, very light-duty off-roading as part of a day or weekend trip away. It's a good-looking and well-appointed SUV, sorely let down by its engine and auto, but it has enough of a premium feel to seem even more pricey than its actual price-tag. 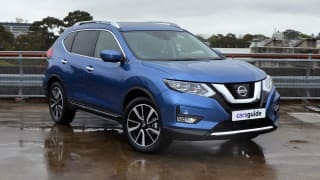 The Nissan X-Trail Ti is the top-of-the-line grade in this popular SUV, but does that make it the best one for you? Families have a fair few things to think about when buying a car. 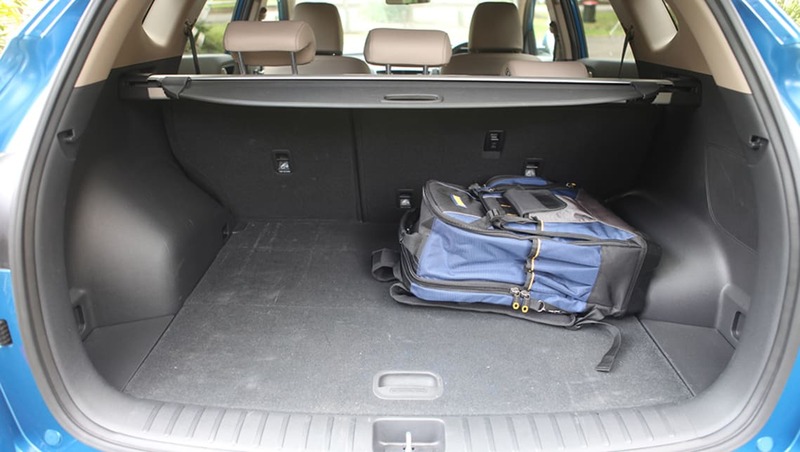 You want enough space for everyone to fit comfortably plus the boot space to lug the stuff around that accumulates when you have kids. You want it to drive well. You want it to be as safe as possible. And of course, you want it to look good. Really good. How hard can it be?